Concerts from your favorite music bands, on demand! 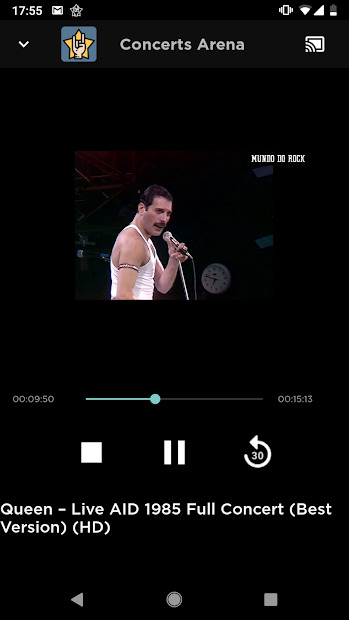 Finally, a fresh app for our beloved Chromecast! 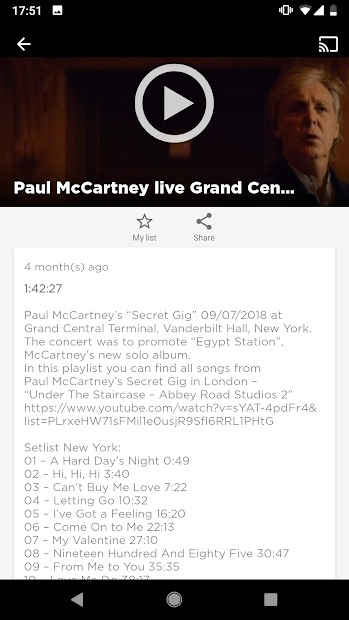 With this amazing app, you can enjoy thousands of hours of free full concerts from the most popular music soloists and bands as Queen, AC/DC, Metallica, Led Zeppelinn Mariah Carey, Norah Jones, Paul McCartney and much more. Browse its categories with pop music, Rock/Metal, R&B/Soul/Hip Hop, Country/Folk, Dance/Electronic, Jazz/Blues, Reggae, Classic/Opera and Latin/Reggaeton and the Greatest of all times) and choose a full concert to watch. Delight yourself with this app vast collection of live concerts. More are added weekly! 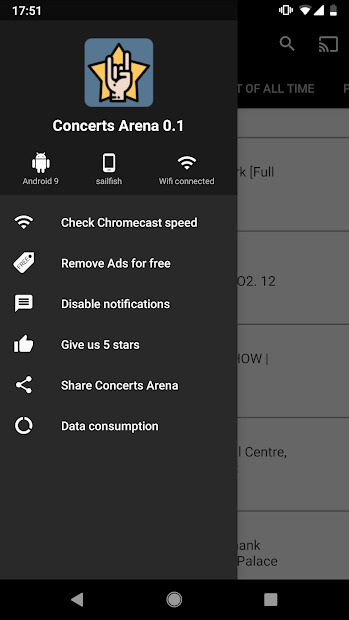 To enjoy free full concerts in your mobile device, tablet or big screen with your Chromecast or Chromecast built-in TV , just need to download the app. No subscription needed! 100% Free!